BR-V is a compact SUV from Honda, the car was first showcased in Indonesian autoshow this year. The all new Honda BR-V would come with 7-seat configuration and is expected to take on likings of rivals in its segment like Hyundai Creta, Renault Duster and Ford EcoSport in India. Even before showcasing Honda BR-V in Indonesian auto show, the company revealed the photos of Honda BRV sketches. 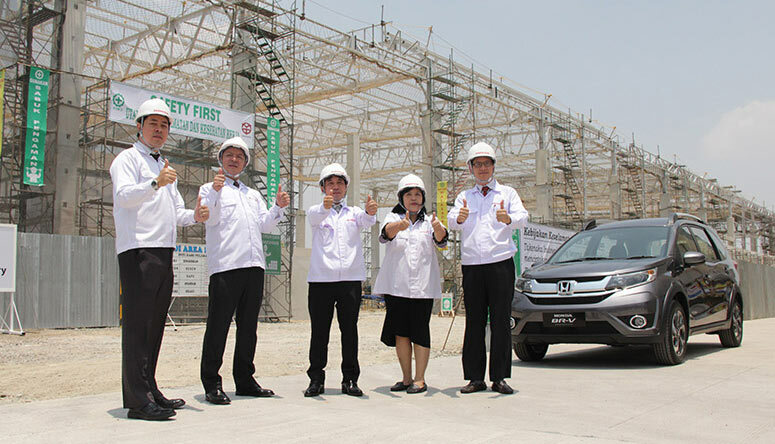 Now the Indonesian arm of Honda has released the photos of production-ready BR-V SUV which shall hit the Indian showrooms by year 2016. The production of new Honda BR-V is expected to happen in all international markets by early next year. The production-ready photo of Honda BR-V has been painted in the ‘Urban Titanium’ (Grey) paint, this is actually a familiar car color fwhich is also available on other Honda cars in India. It is important to mention that Honda BR-V looks pretty good enough to enter the Indian market and take on rivals like Hyundai Creta and Renault Duster. The safety features of Honda BR-V include ABS ( Anti-lock braking system), EBD (Electronic braking distribution system), stability control, hill-start assist, airbags and more. The price of all new Honda R-V is expected to be between Rs. 10 lakhs to 13 lakhs (Indonesian value).